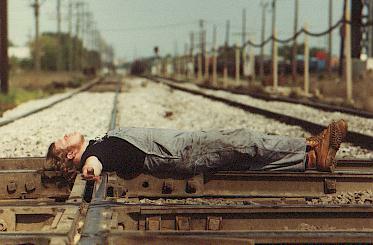 I've been working on the railroad, no, really! For almost 14 years of my life I worked for the Illinois Central Railroad. I controlled the flow of rail traffic around the Chicago area from seven different interlocking towers, did yardmaster duties, and other jobs. I worked with most of the freight railroads in Chicago, as well as Metra and Amtrak. I love trains, so on it's worst days as a job, I always enjoyed the view. Here I am relaxing on the job at Hawthorne Crossing, also known as the Belt Tower or C.M.& N. The view is looking south down the BRC (Belt Railway of Chicago) tracks. 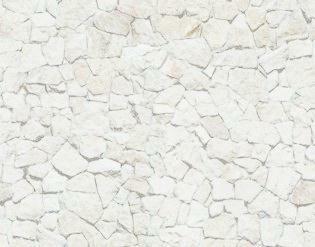 When the traffic slowed down, I often went outside, to throw rocks or look for snakes, or take pictures. Some summer days there, at work, were lazy, hazy sweet days. The same spot, looking north, when I am doing my job....I.C. on the crossing and SOO line southbound. This crossing was used by most of the major railroads in Chicago. It was located on the border of Chicago and Cicero, at 33rd. street. Here's what "Belt" Tower looked like. It was dilapidated, dirty, cold in the winter and hot in the summer and had a coat of yuck on the inside that just wouldn't go away. 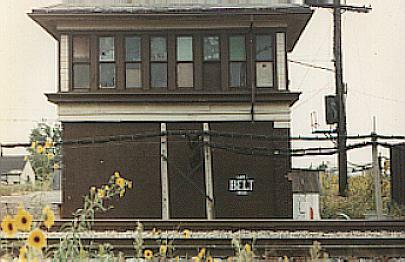 It was the social center of the west end of the IC Chicago terminal. The "sign" on the side was painted by me...there were no markers on the tower to indicate what it was. This tower sat at the junction of the I.C., the BRC, and the C.&.I.W. (known as the "wobbley"), and later, the Chicago, Central and Pacific. It was closed, with remote control going to the Belt Railway dispatcher. The tower burned down shortly after. 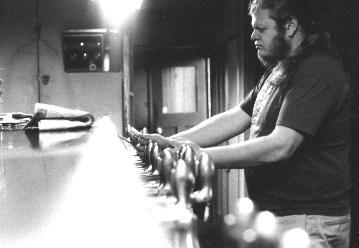 Here's me, with a lot of hair on my face, working the levers at Bridgeport bridge, near Archer and Ashland, on the near south side. This tower was perched high atop a big steel bridge over a nasty little branch of the chicago river, that bubbled something icky in the summer. This was what was called a "Pistol Grip" interlocker. The levers go back and forth, determining which way a switch or signal should be. The Bridge is closed, controlled remotely from another location. The tower was burned up a few years after it was closed, supposedly by homeless who had taken up residence there. 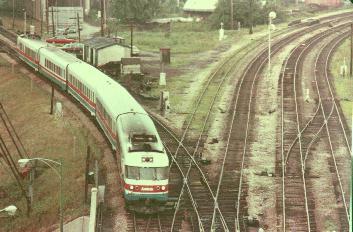 The view from Bridgeport Bridge, looking west/southwest, of a Turbo Train, so silent and fast that they were hitting too many cars at grade crossings that they discontinued using them out of the Chicago terminal. 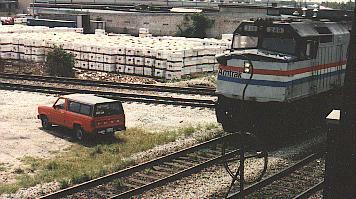 This Turbo was likely on it's way into or out of the Amtrak Brighton Park Facility. Corwith Tower, one of the rail hotspots in the city, the Crossing of the Santa Fe and the IC (former Gulf, Mobile & Ohio). You can't see me, but I'm hanging out the window, behind the pole, waving at the engineer, which I always did. 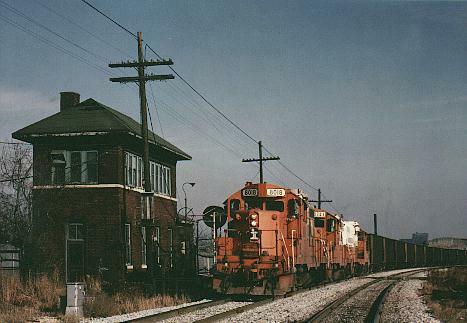 This train was likely a C.C.& P. coal train, headed for the dump at the power station in South Joliet. Corwith was very challenging to work, juggling the needs of the Amtraks, the IC, and the Santa FE #1 yardmaster, who, in a just world, would have the right of way, for all his trains, all the time. A small view from the window atCorwith tower, of a northbound Amtrak train. You'll notice an order hoop....when I first worked there, all trains southbound had to pick up orders from the hoop, and couldn't go much further south if they didn't have them. The operator (that would be me) would get orders from the dispatcher, reading them back word for word, copy them by hand, and put them in the upper and lower hoop for the engineer and the conductor to pick up, on the fly. It was exciting railroading, the way it was everywhere at one time. The orders gave specific instructions about where the train had permission to be, and when, and how fast they could go. These peices of crinkly tissue-like paper were the thing that keep trains from running into each other. 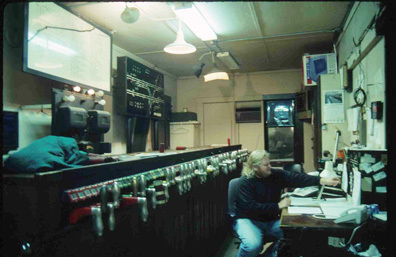 Here I am, at the desk at Corwith Tower and the pistol-grip interlocking machine. On the wall behind it, the diagram that shows the tracks, switches and signals and the location of each train. In front of me, the intercom to the Santa Fe Yardmaster and the IC Dispatcher, as well as phones for each railroad. The IC Dispatcher line was one of those old fashioned mouthpieces on an accordian-like arm, and an earpiece you hold seperately to your ear, and a foot pedal you step on when you need to speak. When you spoke to the dispatcher, everyone in every tower and station for 150 miles would hear you, through the telegraph wires. On the desk in front of me, another interlocking machine that controlled switches and signals 5 miles south. Riverdale tower....now there was some old time railroading. 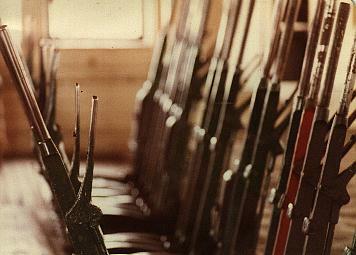 The switches and signals were controlled by brute force, through pulling these levers back and forth. The levers were connected to pipelines (see next pic)that were connected to switches sometimes a block away or more. In it's prime, I'm sure it worked well, but, by the time I got there, the pipes were bent, making every pull a grunt and strain producing task. If that wasn't bad enough, the tower itself was falling down, would have and should have been condemned, and was cold cold cold in the winter. It was a shack, barely held up by the metal locking bed of the levers. 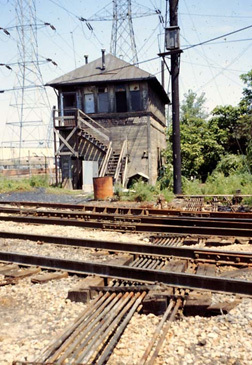 Here is Riverdale Tower and the pipelines that connected the levers to the switches. Riverdale tower is long gone. 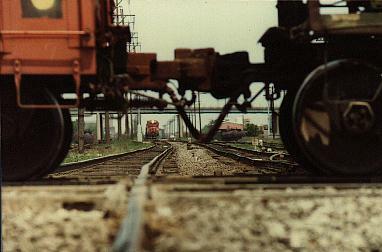 It was my introduction to railroading, a trial by fire, a true test of whether I'd stay on the railroad or not. I did. Did I mention the electric toilet, that burned instead of flushed? I often drove a half mile to the B&O roundhouse to go. Rumor has it that one of the fellows there flushed (burned electrically) then went to take a whiz. They say he was knocked across the room. Good times. I really loved my time on the railroad and I am still a railfan. I have the art of trainwatching down to it's bare essence. I rarely take pictures anymore...mostly I find a nice curve in a small town, wait for the distant whistle of a fast moving train and watch it go flying by, for me a work of art, noise, progress, history and power, and it excites me and calms me. I have taken some photos over the years. Here's a few of them, at home and abroad, including some taken at these towers. I will post more someday. my homepage, for music and other frivolity.